Utility company break-ins are on the rise which poses a great threat to our national electrical grid. 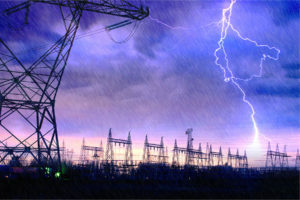 Although the electrical grid is regulated by the federal government –both by the North American Electric Reliability Corporation (NERC) and the Federal Energy Regulatory Commission (FERC) – the responsibility falls on the private sector to protect and maintain its infrastructure. Break-ins may be as simple as copper theft or as malicious as intentional sabotage but both of these scenarios compromise power reliability. Because of the way substations are linked together – if they are hit simultaneously – widespread blackouts could occur and threaten millions of individual households as well as our national security. Utility companies are doing a great job with limited available funds. Unfortunately, more attention is directed to network security rather than physical security. On April 16, 2013, a substation near San Jose, California was hit by sniper fire which interrupted power to 17 transformers that feed electricity to Silicon Valley. Then, the Wall Street Journal reports that on November 5, 2013, the Liberty substation – 35 miles west of Phoenix, Arizona – was ransacked in an attack that continued for two and a half days. This attack at the Liberty substation revealed severe security deficiencies of the physical location and therefore the control systems as well. It was after this first security breech that more proactive security measures were implemented on-site. When the Liberty substation came under attack for a second time on January 30, 2014, the intruders attempted to regain access but were deterred by a MPS security trailer’s cameras and lights that they were unable to shut down and their second destructive mission was averted. As evidenced in the Liberty substation security breech, Mobile Pro Systems offers an effective frontline of defense against sabotage of systems that affect our electrical grid. We provide surveillance solutions for utility companies, police departments, construction companies…if you want to protect it, we’ve got you covered. At Mobile Pro Systems we offer various mobile surveillance solutions tailored to your needs. With mobile, self-powered, reliable technologies we help you detect, deter, report, and repel intruders. Systems are easy to set up, allow for real-time monitoring and offer notification features that keep you informed. If you’d like to talk with us at length about your security needs don’t hesitate to contact us!